The Boston Area Chai Party: Coming Soon to a Town Near You! The Boston Chai Party is proud to be a Boston company. Founders Vishal and Rushil have lived and worked in Boston for years, and can’t imagine brewing chai anywhere else. To celebrate our local heritage, Boston Chai Party is excited to launch grand tour of this amazing region we’re so proud to call home. We want to get to know all the towns and neighborhoods, from Boston Harbor to Rockport Harbor, from Cambridge to Stockbridge, that make this region so special and dynamic. 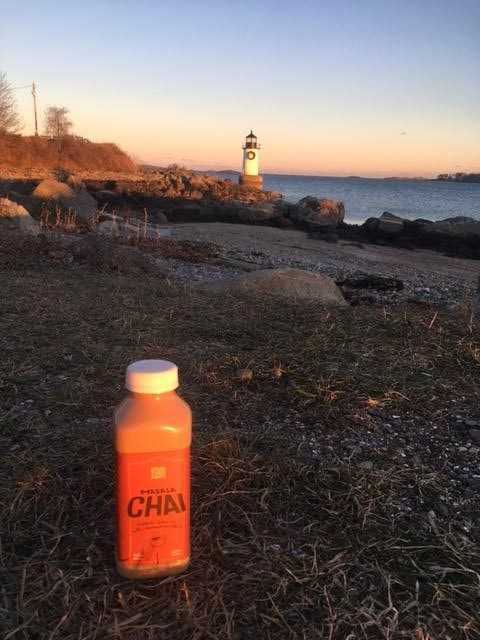 In every town, our little bottle of Boston Chai Party tea will travel to some of the local attractions, and meet the people who make up each town. And of course, we’ll let them try some of our delicious chai. As we learned a little while ago, love begets chai. This holiday season, we can’t wait to spread both all over our wonderful hometown. First stop: Witch City USA, also known as Salem, Massachusetts!